In memory of Nappy and Fluffy, a year-end donation was made by Ella Mae Schultz. 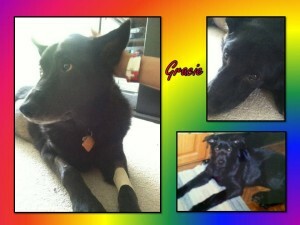 In memory of Gracie, a year-end donation was made by Mary Greet. In memory of T. David Atkinson, a year-end donation was made by Rosemary Atkinson. In memory of Appy and Nikki, a year-end donation was made by Ilse Kappy. In memory of Zeke, Dino, Gretel, Heidi, Piper, Gabe, Elvis and Jet, a year-end donation was made by Paul Shea. In memory of Pepper, a year-end donation was made by Helen Haywald. In memory of Misty, a year-end donation was made by Philip Grundlehner. In memory of Barkley, a year-end donation was made by Brandy Carson. In memory of Merriweather, a year-end donation was made by Laura Davies. In memory of Cocoa, a year-end donation was made by Lisa and Scott Wasserman. In memory of Molly, a year-end donation was made by Kevin and Traci Ameel. In memory of Von Clock, a year-end donation was made by Page Clock. In memory of Lucy, a year-end donation was made by Therese Simmons. In memory of Roscoe Hoover, a year-end donation was made by Charles and Kathleen Hoover. In memory of Pam Porteous, a year-end donation was made by Janis Smith. In memory of Cleopatra, a year-end donation was made by Kay Schloff. In memory of CC, Snowball, Troika, Klondike, Chukchi, Cocoa, Charlee Mama and Casey Mae, a year-end donation was made by Caroline Kline. In memory of Janelle Mazure, a year-end donation was made by Linda Ziehm. In memory of Coco, a year-end donation was made by Thomas and Carol Smist. In memory of Pam Porteous, a year-end donation was made by the Law Offices of Barry L. Howard, P.C. In memory of RJ, a year-end donation was made by Madeline and Samuel Scarletta. In memory of Cleo, a year-end donation was made by Joseph Kurzynski. In memory of Pam Porteous, a year-end donation was made by Anne Fraser. In memory of Victory at Best Friends Animal Sanctuary and her bassets Sophie and Agnes who passed in 2016, a year-end donation was made by Elizabeth Connell. In memory of Ida LoFeudo, a year-end donation was made by Jim and Linda Kirk. In memory of Pam Porteous, a year-end donation was made by Jennifer Heinrich. In memory of Abbey, a year-end donation was made by Mark and Stacee Laske. In memory of Schotzie, a year-end donation was made by Alfonse Lafata. In memory of Kenneth Snow, a year-end donation was made by Suzanne Hagopian. In memory of Aubree, a year-end donation was made by Kathleen Kroeplin. In memory of Pebbles Warren, a year-end donation was made by Nancy Peters. In memory of Roscoe Hoover, a donation was made by Anna and Richard Warren. In memory of Pebbles Warren, a donation was made by Nancy Peters. In memory of Pebbles Warren, a donation was made by Anna and Richard Warren. In memory of Morris Young and dogs Gidget, Dolly and Duncan, a donation was made by Suzann Young. In memory of Lexie Carie, a donation was made by Marjorie and Lionel Beaudin. In memory of Theresa O’Dell, a donation was made by Barbara Lynn Hoffman. In memory of Cooper, a donation was made by Lisa Wasserman. In memory of Faye Steffens, a donation was made by Jan Persson. In memory of Carol Ann Tallman and her dog, Max, a donation was made by Denise Manier. Our beloved Animal Care Network Manager Pam Porteous has unexpectedly passed away. To say we are devastated is an understatement. Pam was a warrior and an angel for the animals, working 24 hours a day, 7 days a week. She was one in a million. Thousands of animals were saved thanks to her dedication to the Animal Care Network. In memory of Raymond Reiche, a donation was made by Toni and Peter Miller. In memory of Raymond Reiche, a donation was made by Adam Cheslin. In memory of Sharon Medwid, a donation was made by Stanton Sales Company. In memory of Raymond Reiche, a donation was made by Catherine Carpenter. In memory of Raymond Reiche, a donation was made by the Wise Family. In Memory of Raymond Reiche, a donation was made by Judith Rasys. In memory of Ken Snow, a donation was made by Suzanne Hagopian and John Motil. 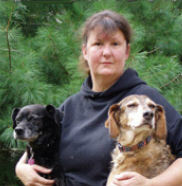 In memory of Cindy Merz, a good friend who worked tirelessly for the animals in Pontiac. A donation was made by Ginny and Walt Dimsa. In memory of Morris Young and dogs Gidget, Dollie, and Duncan; a donation was made by Suzann Young. In memory of Susan Houghton, a donation was made by Carol and Mark Simon. In memory of Mary Kate Brockway, a donation was made by Wendy Case. In memory of Mason Dunn, a donation was made by Cheryl Kimber. In memory of Diane Marshall, a donation was made by Jeralyn Burrell. In memory of Daisy, a donation was made by Glenn Cassel. We would like to send our condolences to the family of Mrs. Dollie Ann Cole who passed away on August 24th. Mrs. Cole is the mother of Joe Cole, Treasurer and Vice President of the Michigan Animal Adoption Network. Dollie Ann Cole, age 84, passed away on August 24, 2014. Mrs. Cole, widow of the late Edward N. Cole, former President of General Motors Corporation, was a respected businesswoman, serving in leadership roles on numerous national and local boards including on the board of PBS, Project HOPE (World Health Organization), The Smithsonian National Air & Space Museum, the National Corvette Museum, HPSC, a national leasing and finance company based in Boston, National Captioning Institute for the Hearing Impaired, National Academy of Sciences Presidents’ Circle, and the 100 Club of Central Texas, a charitable organization established to support the families of officers killed while serving the public. Mrs. Cole was also a member of the Corvair Society and was a Distinguished Woman of Northwood University. Mrs. Cole’s interests included historic preservation, attending auctions and she was a great supporter of projects in and for Texas, including the Settlement Home for Children. Mrs. Cole also worked as a Senior Editor for Curtis Publishing. Outspoken, bright and attractive, Mrs. Cole set a high profile standard for the auto executive wife when she arrived in Detroit in the early 1960’s. Mrs. Cole commanded the same desk from her Ranch in Lockhart, Texas that her late husband occupied on the legendary 14th floor of the General Motors Building, buying it as a surprise for her husband when he retired. Known as a “force of nature”. Mrs. Cole worked tirelessly for charities protecting children and animals. Mrs. Cole is survived by her four children, William Jefferson McVey, III, Anne Cole Pierce, Esq., Robert Michael Joseph Cole and Edward N. Cole, Jr. and by seven grandchildren, Alexandra C. Pierce, 2Lt. Matthew C. Pierce (currently serving in the United States Army), Dr. Christina A. Cole, Adam H. Cole, Rita B. Cole, Edward N. Cole, III, and Gunnar M. Cole. Mrs. Cole will be greatly missed by her many friends and her family. In memory of Verlin Haywald, a donation was made by Shirley Kell. In memory of Verlin “Bud” Haywald, a donation was made by Bill and Audrey Streefkerk. In memory of Verlin “Bud” L. Haywald, a donation was made by Patricia and Wayne Robinson. In memory of Verlin L. Haywald, a donation was made by Beverly Steffens-Claudio. In memory of Lily Ciambelli, the beloved pet of Joe, Karen, Christian, and Morgan, a donation was made by Pat and Mike Omans. In memory of Gracie Murphy, a donation was made to the Animal Care Network. In memory of LuLu Hemmi, beloved dog of Eileen and Eric, a donation was made by Eileen Abel. In memory of Cleo Zimmer, beloved dog of Norine and John, a donation was made by Eileen Abel. In memory of his father’s beloved dog of 14 years, a donation was made by Jimmy McLernon. In memory of Toby Werth (beloved cat), a donation was made by Robert Zasucha. In memory of George Cavers, a donation was made by Debbie Schornack and Jim Zech. In memory of Ken Snow, a volunteer of the Animal Care Network and a wonderful humanitarian. His contributions to the Animal Care Network were endless and the program was very dear to his heart. Besides the Animal Care Network, Ken worked with many other organizations to improve the quality of life for the people and animals of this earth. He will be missed! both of us. We are fortunate to have known such an extraordinary person. Linda and Dennis Peters – We will miss Ken but keep him in our hearts. Green Glides – In honor of Ken Snow. A better man would be hard to find. 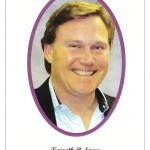 Kevin Leach – This donation is in memory of Ken Snow. Bless you folks. Richard Bruder – In memory of Ken Snow. Keep up the good work! In memory of Zoe Hurwitz, faithful dog of the Rehfus/Hurwitz family, a donation was made by Mike and Pat Omans. In Memory of Cindy Merz a donation was made by Jackie Gentile. In memory of Cindy Merz, a volunteer of the Animal Care Network and a friend to all animals. Cindy was a dedicated and strong ACN volunteer for five years and was one of the most amazing, compassionate and driven women that we will ever meet. We feel blessed to have known and worked with her for the five years that we had with her.She was a lady that never said no, never said “I can’t” and took on Pontiac with a unique force, like we have never seen before.She will be greatly missed by anyone that knew her. In memory of Al Carson, a donation was made by Will and Shelia Rymar. In memory of Al Carson, a donation was made by Kay Miller. In memory of Max Falk, beloved dog of Joann Falk, a donation was made by the Omans Family. In memory of Gaynor Davis, a donation was made by Nadine Doolan and Rose Phelan. In memory of Duke Thomas, a donation was made by Karen Gonzales. In memory of Pandora, a very special cat who passed away January 6, 2013 from Kidney disease, a donation was made by Marlene Larson. In memory of Bill Myers (Michigan) friend to all animals , a donation was made by Shannon Breznai. In memory of Petey, best rescue dog ever and a loving friend who is deeply missed, a donation was made by Rochelle Visser. In memory of Sally Ramsey, beloved mother of Cynthia Mead, who rescued many dogs over the course of her life. In memory of Lily, beloved pet of Marilynn Barry. “In memory of Happy, who we are very grateful to MAAN for saving,” an anonymous donation was made. In loving memory of Georgia, a donation was made by Barbara Perl. “In loving memory of our sweet Kelsey. We saved your from and hell and you brought us pure joy,” a donation was made by Jody Maskery. In memory of Panada, a donation was made by Shirley Page. In memory of “Pearl,” a wonderful pet, a donation was made by Diane Ferlas. In memory of Julie – Boo Boo – maltese, a donation was made by Anna Otto. In memory of “KitKat” a donation has been made by Marie Bell. A generous donation was made in memory of “Misty, our beloved cat”, by the Philip Grundleehner family. ACN would like to remember Scrappy, beloved senior Beagle owned by James and his family. In memory of “Happy“, The Kapur family’s beloved pitbull/boxer mix, a donation was made to the Michigan Animal Adoption Network. Donation made by Gayle Koan in memory of Pedro & Gracie, loved family members of Rose Phelan and Nadine Doolan. In loving memory of Mary Porteous, mother of ACN Manager Pam Porteous, a donation was made by Barbara Perl. In Memory of Misty, beloved cat who passed away in October, 2008; donation made by Philip Grundlehner. In memory of Allen Knarr, a donation was made by Eileen and Richard Hemphill. In memory of Candy, a donation was made by Barbara and Vito Delia. In memory of Rocky and Muffett, a donation was made by Carol Medici. Nikki was a wonderful companion, who shared 10 years of her life with Ray and Deborah Chappa. She is dearly missed. In memory of a great and beloved friend, Jake beloved pet of David Martens, volunteers for the Animal Care Network. In memory of Norman, beloved pet of Evan Deutsch, volunteer for the Animal Care Network. Norman was the world’s best teddy bear. He brought joy and smiles to our lives. He will be missed everyday. Thank you to his dad, Evan, for loving him and giving him and so many others a 2nd chance in life. Donation made by The Marchek Family. In honor of Lindsay Warren for her volunteer work with the Michigan Animal Adoption Network; donation made by The Trim Family. In memory of Samantha Ray Saindon, a donation was made by Jack Saindon. In memory of Benny from Benny’s family. In memory of Sarah Warren, beloved pet of Lindsay and Richard Warren, Jr., a donation was made by Mr. and Mrs. Richard Warren, Sr. In memory of Shadow, a donation was made by Karen Marianovich and family. In memory of Kira, the Rottweiler, a donation was made by Justin Jeris and Jamie Gannon. In memory of Diamonda Hass, a 10-year old Bull Terrier owned by Peter and Julie Hass, a donation was made by Liz Sherman. In memory of Jake Rebeck, a donation was made by Raymond and Rosalyn Rebeck. In memory of Dugan, a wonderful dog, a donation was made. In memory of Benny Rose, member of the Rose family. A donation was made in memory of Jellybean from Michelle Ostrander.